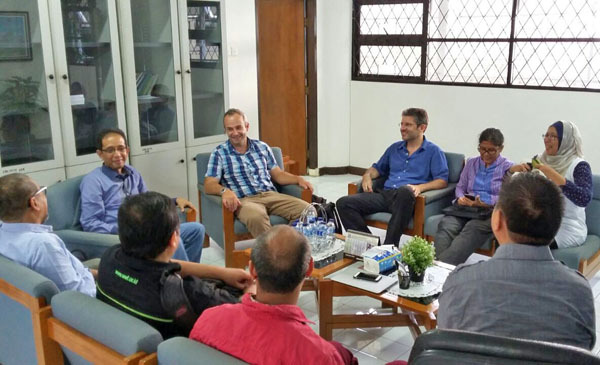 The plans for the EMBRIO Field Course “Coral Reefs in Transition” were further concretized during a visit to Bogor by AProf. Dr. James Bell from the Victoria University of Wellington. 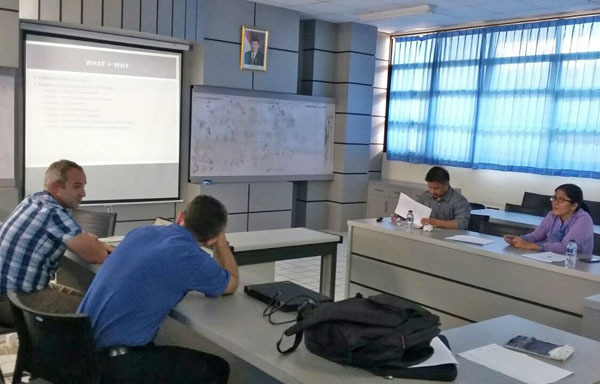 The course will be held in August 2016 with a binational team of lecturers from Indonesia and New Zealand. Also the course participants will be recruited from both countries and will work in bi-national teams. Training sites will be in Wakatobi and Kepulauan Seribu. During the first course week, the participants will gain theoretical knowledge and comprehensive hands-on practical skills in marine ecosystem survey methodologies. In the course of the second week, they will be able to apply these skills in compact research projects on marine ecosystem management. For further information, please contact EMBRIO Vice Director for Research Training & Education, Dr. Hawis Madduppa (hawis@ipb.ac.id).